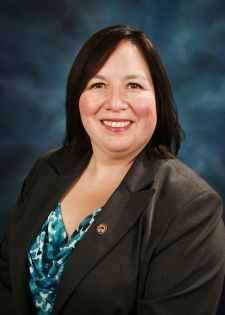 State Senator Cristina Castro represents the 22nd District, which includes all or part of 10 different communities located within Cook and Kane County. She is a second-generation Mexican-American and lifelong district resident who is committed to her community and to public service. Castro’s involvement in the community started during high school when she participated in student groups, volunteered at school functions and helped coordinate and plan activities at school and in the Elgin community. Through these volunteer efforts she discovered her deep passion for helping others and working with the community. After high school, Castro received an associate degree from Elgin Community College, then became the first person in her family to earn a Bachelor of Science and a Master of Business Administration from Northern Illinois University. While active in her community throughout her life, Castro’s public service career began in 2008 when she was elected to the Kane County Board where she served until 2016. In addition to the Kane County Board, she served on the board of directors for the Illinois Housing Development Authority, Black History Family Festival and Centro de Información. Castro has a marketing and communications management background and has held positions in both the public and private sector. In 2015, she decided to run for the Illinois State Senate with the intention of using her professional background, life experiences and compassion to represent the interests and concerns of the people of the 22nd District. She has stood up for working families and isn’t afraid to ask the tough questions. She has reached across the aisle on the issues that matter most to the people in her district and works in a bipartisan fashion to help solve problems and to move Illinois in the right direction. She is a member of the Latino Caucus and serves on multiple committees: Appropriations I, Commerce and Economic Development, Energy, Labor, Revenue, Transportation, and she is the chair of the Veterans Affairs committee. Castro and her husband, Joe McKeown, reside on the east side of Elgin with their three dogs.